Situated off the coast of Georgia are four barrier islands they call the Golden Isles. You will know why they are so named when you see the sun rise over the marshlands in winter or watch it set over the long stretches of sand along the shoreline. At times, the entire landscape is bathed in a golden hue. But it’s more than that – everything about these islands is golden including the lifestyle. It’s a world set apart and nowhere is this more true than on Sea Island. Sea Island, Georgia real estate is among the most highly-prized real estate in the country. Sea Island has long been known for its pristine beaches and excellent fishing. It was originally called “Fifth Creek” by the Native Americans who often fished here hundreds of years ago. 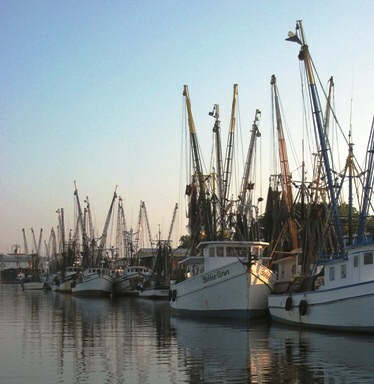 Today, Sea Island is still a perfect spot for coastal fishing, whether sitting on the dock or fishing by boat offshore. In the early 20th century, Sea Island was called Long Island as it was owned by the St Simon-Long Island Company which built the causeway in hopes of drawing visitors who would buy plots of land and build houses. In 1926, Howard Coffin of the Hudson Motor Company bought the island from the struggling St Simon-Long Island Company and renamed it Glynn Isle. It was Coffin who planned and built the island’s first resort and golf course. By the 1930’s Coffin had changed the name of the island for the last time, dubbing this gem of the ocean Sea Island. Sea Island now boasts three championship golf courses, including The Seaside Course, home to the McGladry Classic. Visitors to the historic Cloister resort can walk among the oak trees on The Cloister Lawn, each named for the celebrity who planted it. Here you will find oak trees planted by film stars, presidents and even royalty. Sea Island is home to some of the world’s most exclusive and elegant residential real estate. With its year-round mild weather and inviting shores, it has become a haven for both residents and visitors alike. For more information on the excellent residential communities and real estate on Sea Island, contact us.